Have You Seen This Value-Driven Program To Improve Quality & Decrease Cost? You've previously seen me share how high quality healthcare services are typically the least expensive. Now, from the University of Utah, comes further evidence about how improving quality is often associated with decreased healthcare expense. Have you seen this recent article on just how useful it was to arm physicians with a tool to focus on value? For other practical tools to help improve value in healthcare, have a look at Volume To Value: Proven Methods For Achieving High Quality In Healthcare available in paperback and Kindle editions. 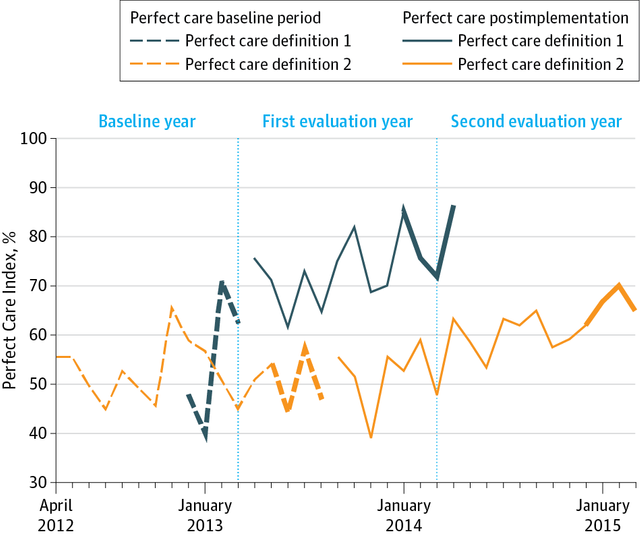 Implementation of a multifaceted value-driven outcomes tool to identify high variability in costs and outcomes in a large single health care system was associated with reduced costs and improved quality for 3 selected clinical projects. There may be benefit for individual physicians to understand actual care costs (not charges) and outcomes achieved for individual patients with defined clinical conditions.